Private Max John Bradford RMLI of HMS “Indomitable” who died 9th June 1912 age 23 years. In loving memory of Frank Eames died Oct 19th 1913 age 20 years. This stone was erected by his Mother and shipmates of HMS “Centurion”. 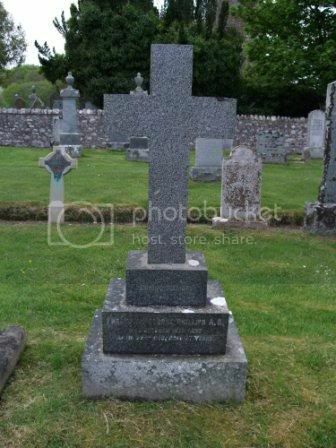 In loving memory of Ernest Edwin Ferriday of HMS “Cochrane” who died doing his duty Sep 8th 1910 age 20 years. This cross is erected by his shipmates. Donald Holland, Gunner of HMS “Neptune” who died Sep 1911. 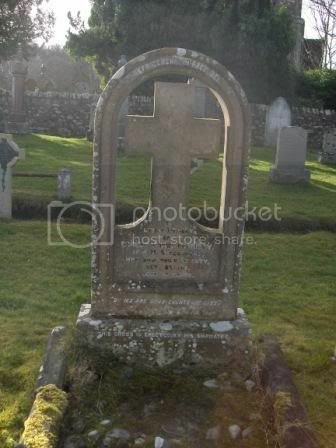 In memory of Alexander Hossack died 28th Feb 1929 aged 82 years. Served in the 42nd Regiment, The Black Watch throughout the Crimean War. Erected by his Regiment. 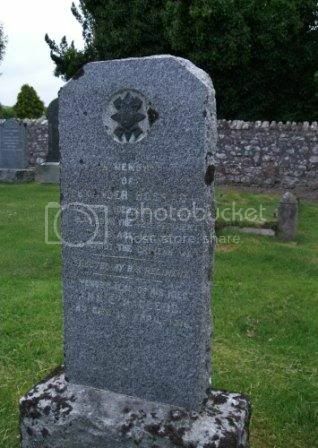 In memory also of his widow Annie MacLeod who died 10th April 1916. 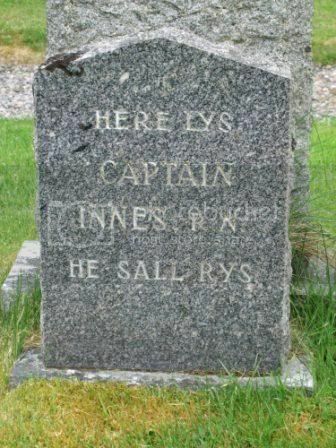 Here lys Captain Innes R.N. He Sall Rys. 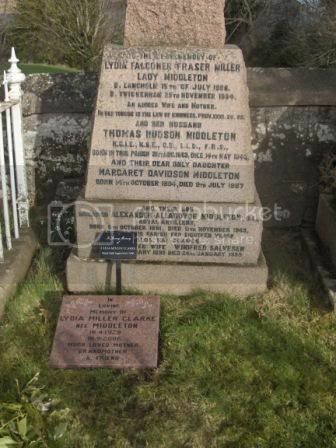 To the dear memory of Lydia Flaconer Fraser Miller, Lady Middleton b. Langholm 15th July 1866 d. Twickenham 25th Nov 1934 an adored wife and mother and her husband Thomas Hudson Middleton KCIE, KBE, CB,LLD, FRS born in this Parish 31st Aug 1863 died 14th May 1943 and their dear only daughter Margaret Davidson Middleton born 14th Oct 1894 died 9th July 1987. 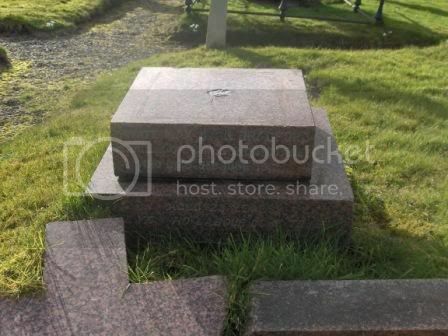 And their son Brigadier Alexander Allardyce Middleton DL Royal Artillery born 8th Oct 1891 died 11th Nov 1963. 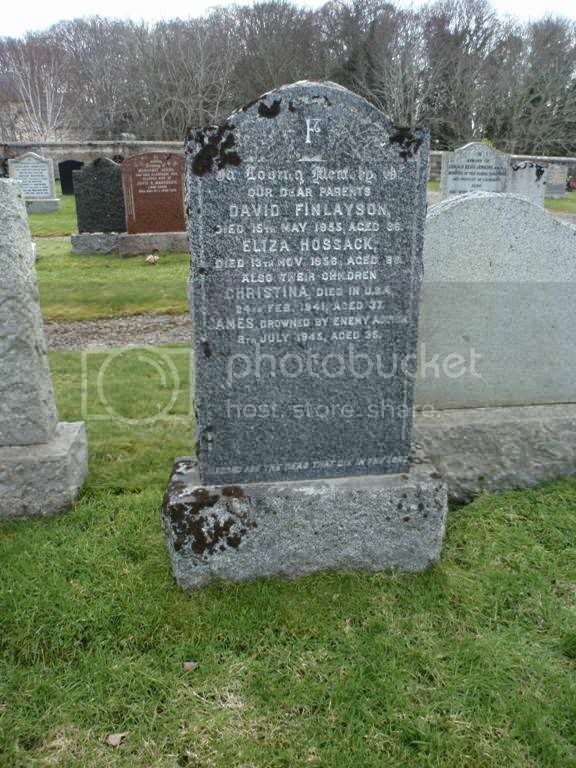 Wife Winifred Salvesen born Jan 1899 died 24th Jan 1989. In loving memory of Lydia Miller Clarke died 16th Sept 2006. In loving memory of Lydia Miller Clarke Nee Middleton 16.4.1929-16.9.2006. Much loved Mother Grandmother and Friend. 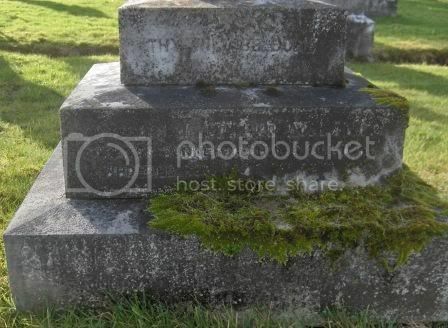 In memory of Frederick W Missen CERA HMS “Indefaticable” died Oct 1st 1911 age 39. Erected by his shipmates. In memory of William Newton Jnr. 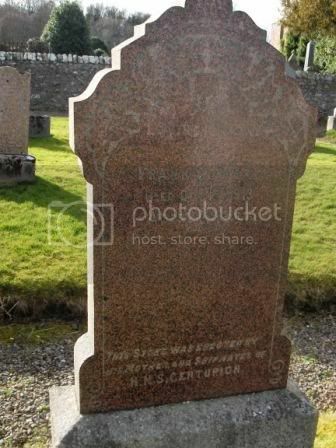 of HMS “Magnificent” who accidentally drowned at Cromarty on 12th Sept 1908 aged 27 years. Erected by his father. 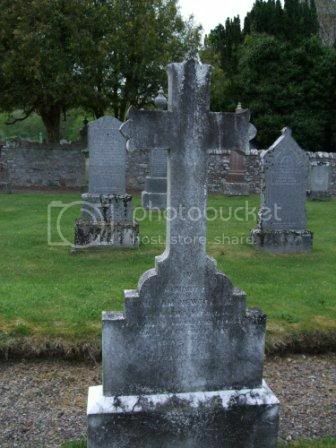 In loving memory of Frederick George Phillips AB who entered into rest April 22nd 1910 age 27 years. 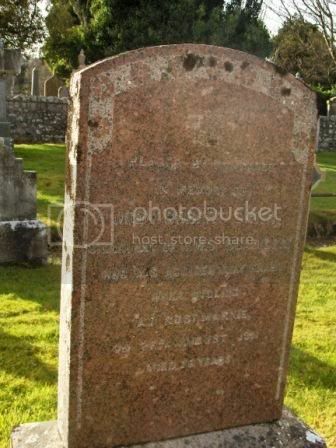 In loving memory of Charles Rowe Stoker HMS “Skirmisher” died April 13th 1909 aged 28 years. Erected by his shipmates. Placed by comrades in memory of John Robert Smith Signalman of HMS “Boadigea” who was accidentally killed while cycling at Rosemarkie on 26th Aug 1911 age 26 years. 2819849 C. Sgt. 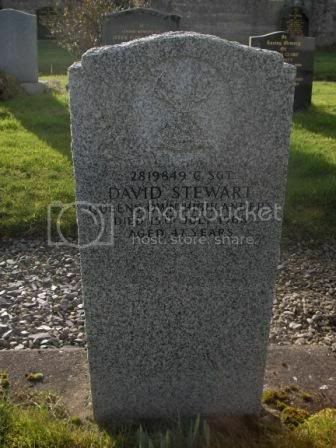 David Stewart Queens Own Highlanders died 15th July 1968 age 47 years. 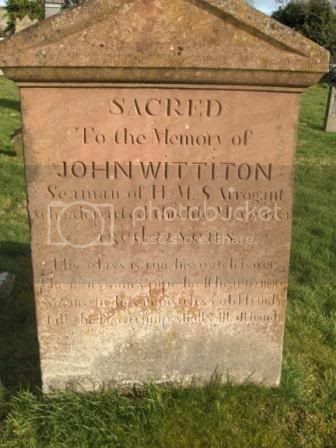 Sacred to the memory of John Wittiton seaman of HMS “Arrogant” who departed this life May 11th 1853 aged 22 years. 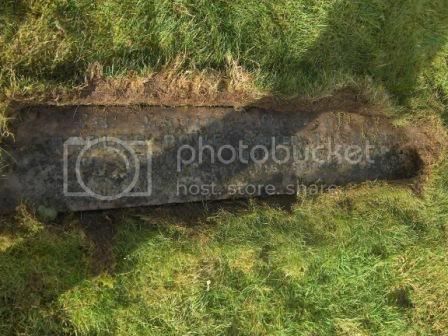 His glass is run his watch is o’er, the boatswains pipe he’ll hear no more, see me lie, lies in deaths cold bands, till the last ? shall call all hands. Theatre of death R.N.R. H.M.T. La Nantaise. At Sea.